Much like the famed aurora borealis (also called the northern lights), Hy-Lite's Aurora window allows streams of light to filter into a room. You don't have to travel to Arctic regions to experience our Aurora window ... you can request our popular Bath-Lite Series Window at Hy-Lite distributors nationwide. 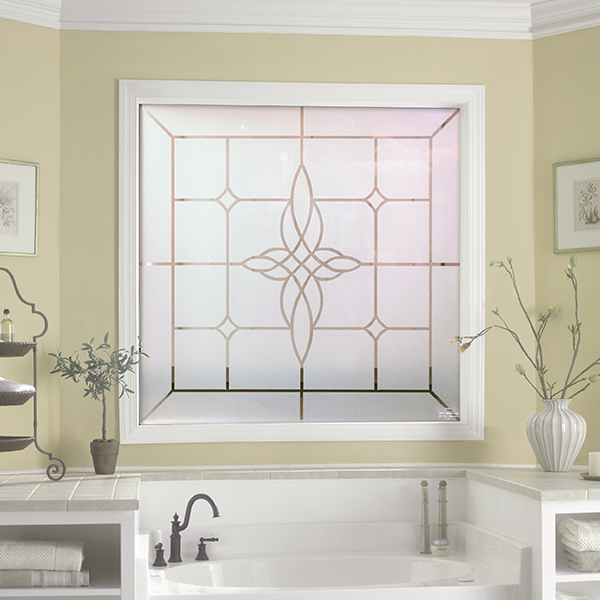 Available in a 48" x 48" size, the Aurora window is Hy-Lite's best selling window in the Bath-Lite Series. The eye-catching design makes it ideal for bathroom settings along with living room spaces, dining rooms and bedrooms. When matched with a colored frame (available in white, tan, driftwood or bronze), the Aurora window quickly becomes a stylish focal point in a room. While the Aurora is our most popular Bath-Lite Series window, that doesn't mean it's your only option for adding beauty to your home. The Olympia, Decorative Star and Charming Bloom window designs are also cost-effective privacy window options for any room in the home!